Here's what you should know before considering a nutritionist. Don’t be fooled by fad diets! Finding the best nutrition plan for you starts with nutritional counseling. Extreme dietary changes can harm you—both physically and psychologically. Cyclical weight loss and regain is bad for health and makes permanent weight loss more difficult. That’s why it must be left up to the professionals to know the best diets to follow for general health. The Mediterranean and DASH diets, for example, are based on the Alternate Healthy Eating Index. In order to get started with the best diet for your health needs, consider a nutritional consult. One survey of 451 family physicians found that 58.1 percent believed that more than 60 percent of their patients would benefit from nutritional counseling. A nutritional consult typically begins with a one-hour evaluation to assess the patient and the patient’s diet. The nutritionist may also assess sleep patterns, physical activity, and other lifestyle factors. With this information, the nutritionist works with the patient (or client) to identify opportunities for change. This doesn’t always mean starting a diet. It could mean identifying one adjustment – such as giving up soda or adding more fish, nuts, and vegetables – that can have an impact on health and healing. Next is formulating a plan. 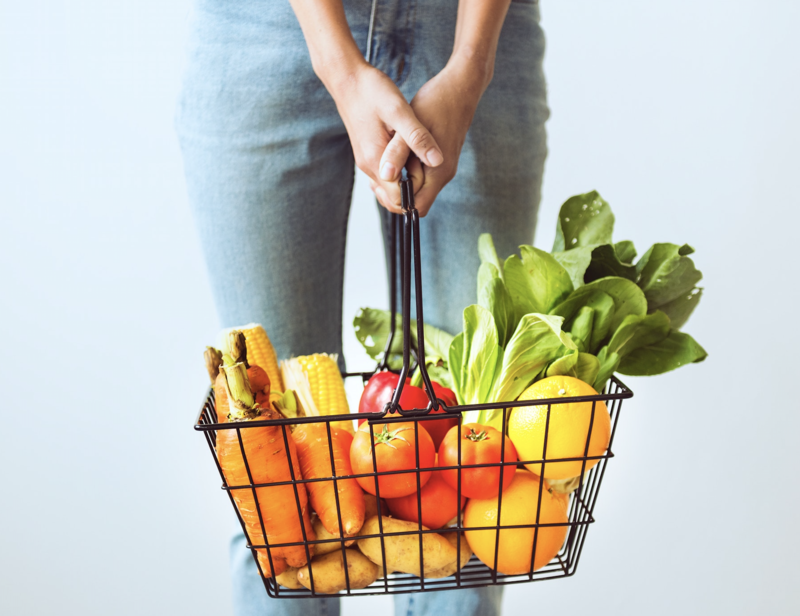 For instance, if the patient doesn’t have time to cook and shop, options could include utilizing a service that delivers healthy food to the door or receiving instruction on food selection when eating out. If the patient eats because of stress, the nutritionist works with them to identify the underlying eating urges and strategies for managing them. Numerous studies find that improving diet can provide the same, if not better, benefits than medical therapy with less risk, fewer side effects, lower costs, and shorter hospital stays. Most major medical guidelines include nutrition as a key part of managing chronic disease. The U.S. Preventive Services Task Force found good evidence that dietary counseling for patients with risk factors for heart disease can improve eating habits, particularly if delivered by nutritionists, dietitians, and specially trained primary health care professionals. Similar studies have shown benefits for obesity, diabetes and hypertension. Nutrition is a key determinant in three of the top four causes of death – cardiovascular disease, stroke, and cancer. Nutritional counseling is used to treat both physical and mental health conditions and address symptoms related to chronic health concerns including, but not limited to: obesity, diabetes/pre-diabetes, heart disease, hypertension/high blood pressure, hyperlipidemia, food allergies/sensitivities, digestive problems, eating disorders, polycystic ovary syndrome and fatty liver patients. Finding a Certified Nutritionist: If you are interested in learning more about seeing a nutritional counselor, check to see if the nutritionist is licensed or certified to practice. The primary organization of qualified nutrition professionals is the Academy of Nutrition and Dietetics. It provides a search by ZIP Code on their website of qualified practitioners. Look for a registered dietitian or registered dietitian nutritionist (RDN), disciplines that typically require a four-year bachelor’s degree and 900 to 1,200 hours in a dietetic internship through an accredited program, as well as passing a dietetics registration exam and continuing professional education requirements. Some RDNs are certified in a specialized area, including pediatrics nutrition, sports dietetics, nutrition support, and diabetes education. Insurance: Most commercial and government insurances, including Medicare and Medicaid, cover medical nutrition therapy (MNT) for certain conditions including diabetes. Obesity screening and counseling is covered if it is received in a primary care setting. Medicare recipients in rural areas may receive MNT through telehealth. Precautions: Seeing a dietician/nutritionist is considered to be safe since their qualifications are highly regulated at the state and government level. You may experience some discomfort when beginning a new diet since you will be adjusting to new foods and decreasing your intake of others. It is possible to experience light-headedness, bloating, gas and an upset stomach. Please make sure you alert your care provider of any prolonged discomfort you are experiencing related to dietary changes. Communication with Your Physician: Always inform your primary care provider of any major dietary changes or weight losses or gains as adjustments in medications or other therapies may be needed. For more information, check out the Nutritional Counseling Pocket Guide. Dr. Jonas is a practicing family physician, an expert in integrative health and health care delivery, and a widely published scientific investigator. Drawing on 40 years of research and patient care, he explains how 80 percent of healing occurs organically and how to activate the healing process in his book, "How Healing Works: Get Well and Stay Well Using Your Hidden Power to Heal." Dr. Jonas is the Executive Director of Samueli Integrative Health Programs, an effort supported by Henry and Susan Samueli to increase awareness and access to integrative health. Additionally, Dr. Jonas is a retired Lieutenant Colonel in the Medical Corps of the United States Army. From 2001-2016, he was President and Chief Executive Officer of the Samueli Institute, a non-profit medical research organization supporting the scientific investigation of healing processes in the areas of stress, pain and resilience.